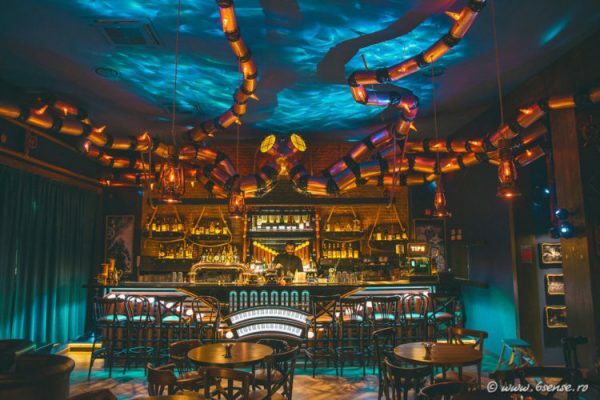 Steampunk Interior Transforms Bar Into Mythical Underwater Lair #ArtTuesday « Adafruit Industries – Makers, hackers, artists, designers and engineers! Inspired by Nordic folklore, Romanian design firm The 6th Sense Interiors, released the Kraken in their latest project. 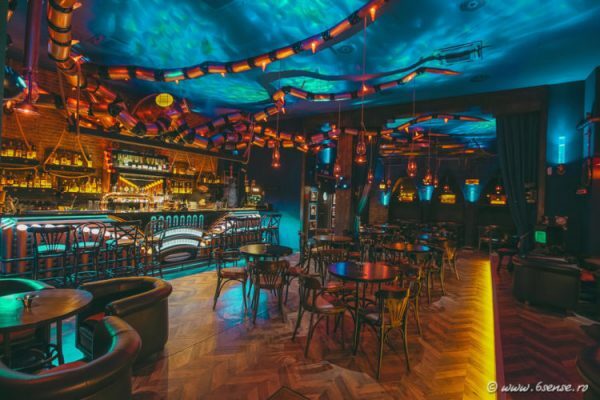 Bringing their typical steampunk sensibility, designers Alexandru Tohotan and Zoltan Zelenyak have created unbelievable atmosphere in The Abyss Pub, located in Italy. Taking cues from the lore of the Kraken, the mythical creature stretches its tentacles across the bar ceiling. Placed above the steampunk bar, it defends its lair from all visitors.